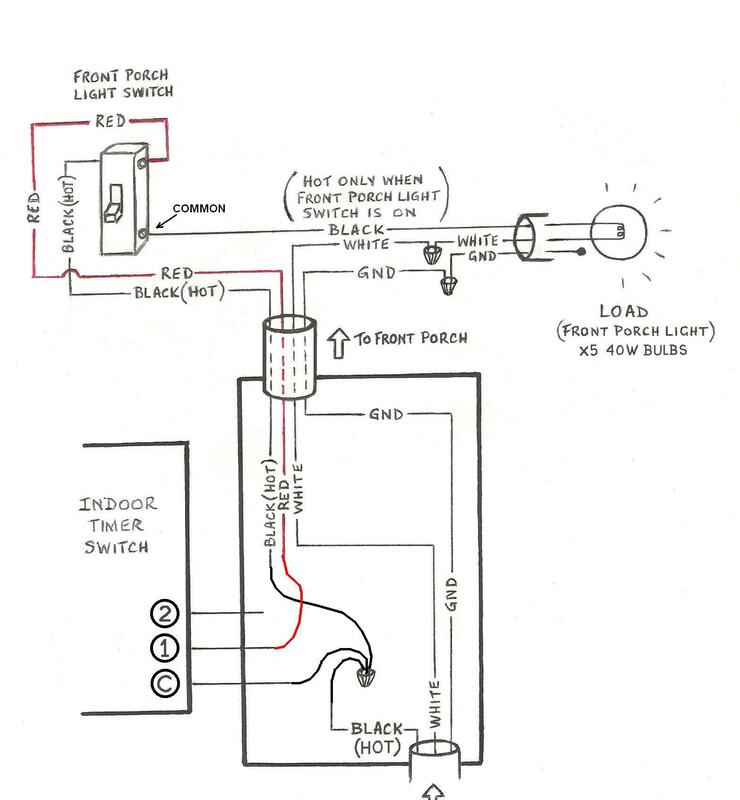 I recently posted a request for help to wire a Woods 59018 digital timer switch, which I learned was not a three way switch but could be used an override-ON. Unfortunately the directions I followed for the override ON option did not work, maybe because the switch is defective. So I got a multi-mode Honeywell RPLS530A, which has only three wires and comes with a jumper cable. 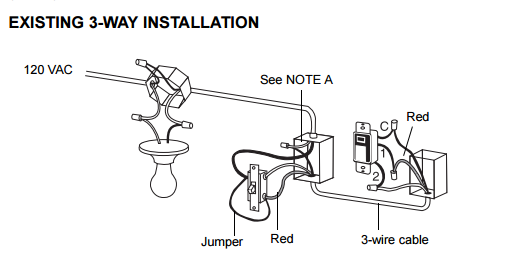 Again, I'm hoping someone can complete the attached diagram, telling me which wires to connect. You should follow the instructions included with the device. Connect wire "C" of the RPLS530A/RPLS531A to the "common" wire, identified when removing the old switch. Connect the other two RPLS530A/RPLS531A wires to the two remaining wires. 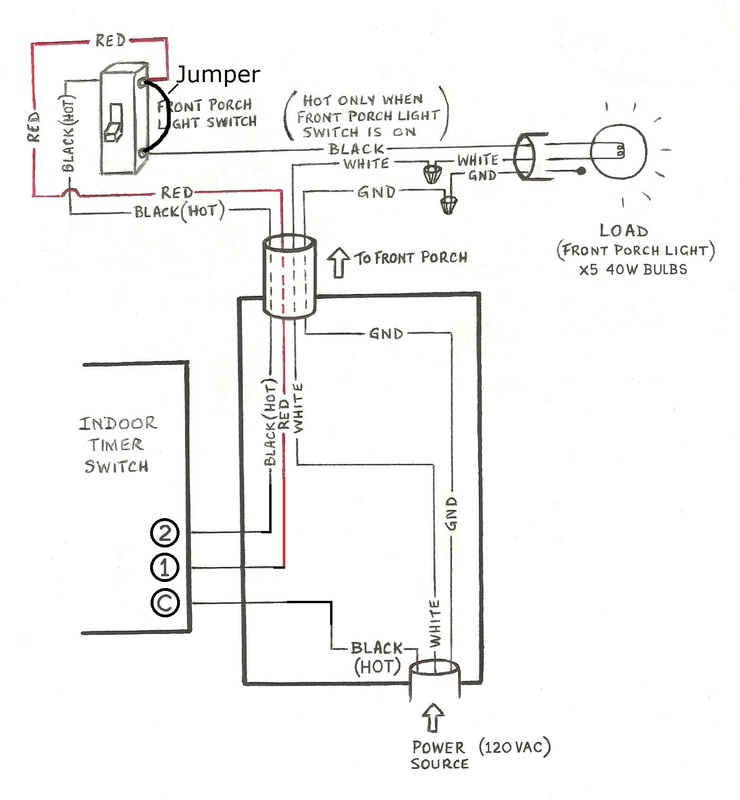 At the other 3-way switch, connect the jumper wire between the "common" screw and the screw where wire "1" of the RPLS530A/RPLS531A is connected. To answer A.I. Breveleri's question, I wanted the switch to turn the five lights in the chandelier on my front porch anti-clockwise in a strobe effect if a politician knocked on my door, gently turn on when I can home late at night and play jingle bells at Christmas. Maybe I'm asking too much. LOL! 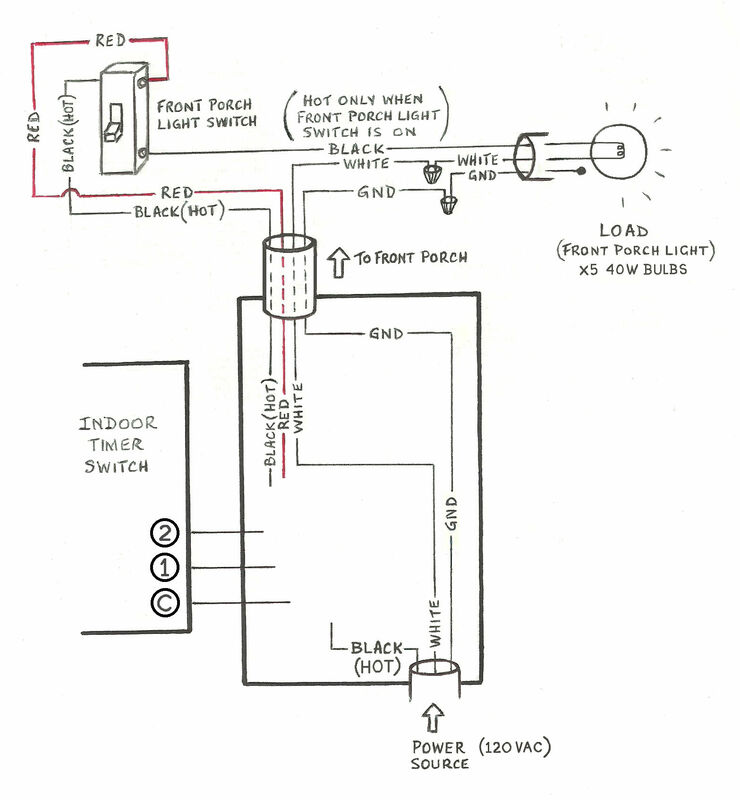 Seriously, the wiring in my house is nothing like that shown in Honeywell's diagram. I followed the steps posted by ThreePhaseEeL and everything works perfectly: I can program the timer, turn the light on inside and off outside and vice versa...a true three-way operation. Thank you all soooooo much for your valuable help and patience. Not the answer you're looking for? Browse other questions tagged wiring switch timer or ask your own question. Caan someone check my wiring of a digital timer?